We delivered solidarity doughnuts to picket lines at King’s, Guy’s and Tommie’s hospitals. Those UCU/PCS/UNITE members striking over pensions wondered why we weren’t with them this time ……. Southwark was one of the branches that called for a demo this evening outside the DFE. 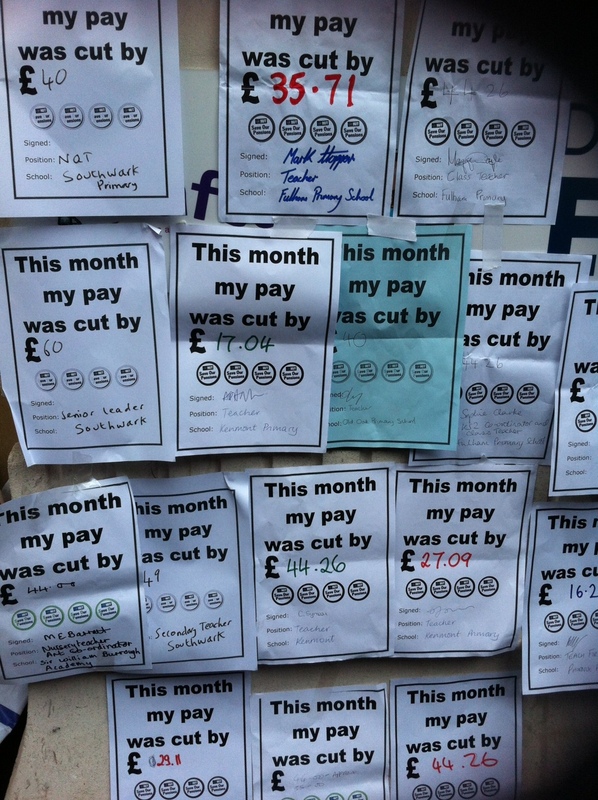 The photo below shows the pay cuts faced by members from last month. These were placed in large numbers on Michael Gove’s wall at the DFE. He was nowhere to be seen.